Something we hope for with every guest who stays with us is that they have moments of surprise and delight. This might happen through excellent customer service, yummy cupcakes, or a unique art piece that intrigues them. Car rental? No thanks! Early morning parking ticket? Definitely not. Life is just easier when you have your own car to propel your adventures. 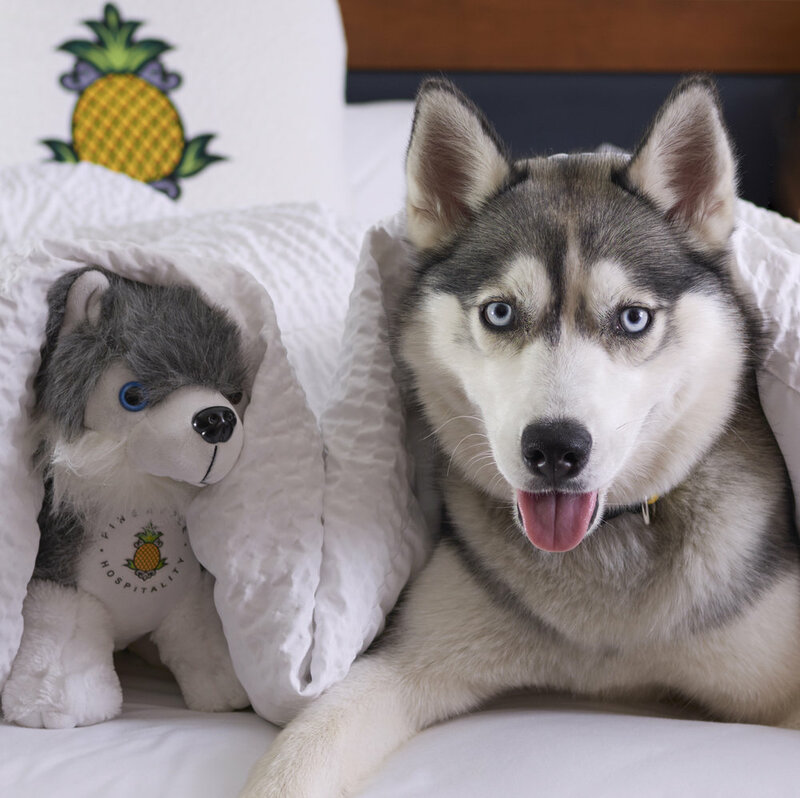 A plush doggie bed, treats, water bowl, and waste dispenser with bags will all be in the room, ready to surprise your furry friend. Of course, Dash will be there too! Stay in bed all morning while streaming your favorite series. Catch that brunch spot you missed yesterday. The city is your pineapple with late check-out! Wrap yourself in plush pineapple threads whenever you want. Just don’t forget to leave enough room in your suitcase to pack your new robe (the slippers are always free)! If that isn’t enough, we’ll have an additional surprise when you arrive to bring it all full-circle, or, full surprise & delight. This seasonal offer will be available for a limited time. Make your reservations before December 31st. Book this offer online now.